Older Daughter called on Friday to catch us up on her week at nanny school. Among descriptions of classes, child care, and other pertinent information, she mentioned in passing she'd purchased a pair of jogging shorts at Walmart, and was rather annoyed about it. Keep in mind Older Daughter doesn't have a car, so all purchases are either done within walking distance, or at the convenience of a fellow nanny who has a car and will take her dorm-mates on grocery excursions once or twice a month, usually to a Walmart located about fifteen miles away. "There aren't any thrift stores around here," Older Daughter said, "so I didn't have the option to get shorts there. But sheesh, they were ten dollars! I've been feeling guilty about it ever since." That's my gal. Guilt for a $10 pair of shorts. Having grown up in a frugal environment of second-hand goods and bulk purchases of staples and no recreational shopping (ever! ), it looks like we've launched a cheapskate out into the world. Thank God. When she begins earning money of her own, I have no doubt our daughter will indulge herself a bit -- it's the nature of being young and independent, after all -- but if there's one critical lesson she's learned while growing up, it's the value of a dollar. There are two tactics one can take with regards to personal economics: earn more, or spend less. Most people grow up learning that earning more is the way to go, because then your purchases can be commensurate with your income. But few people consider the benefits of spending less. With low expenses, your income can be scaled down proportionally and you can reclaim your life from an insane work schedule. Clearly this tactic can only go so far, but overall a thrifty lifestyle will always stand someone in good stead. 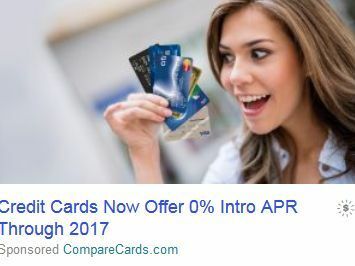 The salacious expression on the model's face as she ogles her credit cards is, well, disturbing (especially in light of Friday's stock market plunge). Here's a woman, the ad implies, who wouldn't hesitate to go to the mall and splurge on clothes/makeup/haircuts/shoes/purses/housewares/furniture/etc. and wrack up thousands of dollars in debt. What the ad doesn't say is this woman will then be enslaved to her job as she works to pay off the stupid things she "deserved" because she works so hard. And so the cycle begins. We've been in debt. We didn't like it. While it's still too early to tell whether Older Daughter will ever fall into the debt trap, I'm encouraged that she feels guilt for her $10 shorts. It bodes well for her future. Back in the dark ages of 1989 our got an executive type job and needed professional clothes. Hers came off the "grunge rack" also known as the marked down to 50% or less. She always got compliments on her clothes. It has a lot to do with the way you combine them and your attitude when wearing them. Now her daughters think that the Salvation Army store is high fashion, One of them got a lovely formal gown for $15 and had everyone rave about it. Attitude--she looked good in it and had no qualms about paying a tenth of what everyone else who attended the dance paid. I'm glad I wasn't the only one disgusted by that credit card ad. Normally I wouldn't see such things, but I had to turn off the ad blocker for a few minutes this last week. I'd forgotten what a hive of villany it was concealing. "That's my gal. 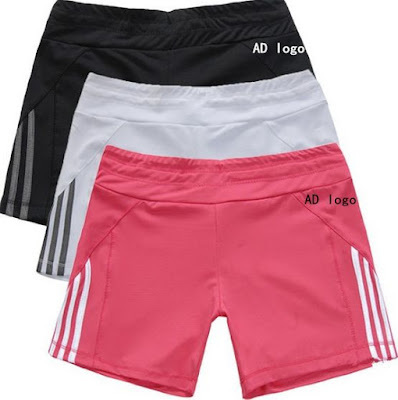 Guilt for a $10 pair of shorts". Funny! She will be just fine.